The quality of Hayden Lake’s water remains high through decades of the conscious efforts of citizens and government agencies. The Hayden Lake Watershed Improvement District (HLWID) monitors the nutrients in the North Arm. They also track the phosphorus entering the lake via runoff on the south shore. Their aim is first to contribute objective data to planning processes for lake protection. Second, they work to understand the complex mechanisms that govern the changes to the lake over time. Additionally, the HLWID observes what’s happening around the lake to ensure that visitors and residents adhere to best practices. These help the water that we all enjoy remain clean and clear now and in the future. 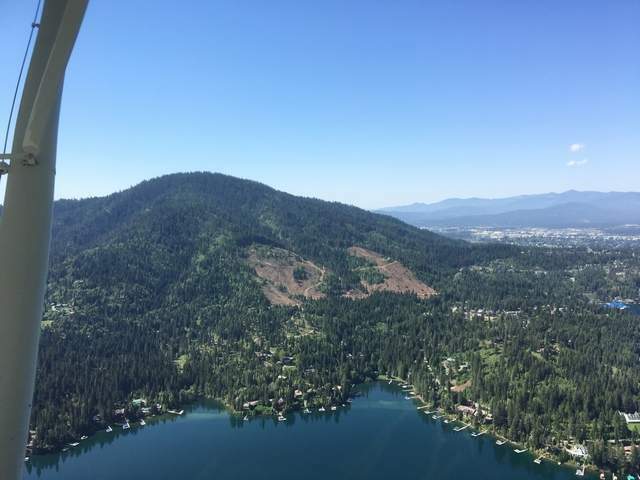 One lake resident recently asked, “Was anyone concerned about the Clearcut of a large part of Canfield Butte which will fill the creeks and lake with mud for a few years?” The rain that we’re experiencing now makes me think about runoff and brings me back to this resident’s question. After all, this summer saw two significant clearcuts in the watershed. The first is the one mentioned here, on the north-east face of Canfield Mountain. The second is on the north end of the lake, to the west of Hayden Creek. And I too wonder what will happen in these parts of the ‘shed.